If there was a contest between the availability of organic foods and organic gardening supplies, the foods would probably win. On the internet, however, organic gardening supplies are mulch easier to come by (Freudian slip intended), than in your local gardening supply stores. Still, even large gardening chain stores and plant nurseries still have a long way to go in expanding their selection of organic gardening supplies or separating them from the rest of the pack. No worries...that's why we're here. We've got all your organic gardening supplies covered! 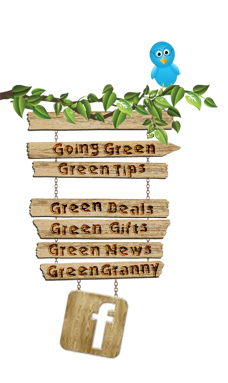 Welcome to our organic gardening store directory. When it comes to truly organic gardening supply super stores selling their wares on the internet, there's not many. The good news is that at least one super store supplier, Arbico Organics, stands out from the rest of the pack in affordability and selection (see review below). If you are looking for a specific organic gardening product, like organic fertilizer for instance, there are excellent specialty online shops out there (Please see the product category links immediately below). Otherwise, we have spent a great deal of energy scouring the Shopzilla Organic Gardening Marketplace, saving you time for finding the most affordable organic gardening products at top retailers. You are probably already aware of the many dangers that come from using inorganic pesticides, insecticides, herbicides and fertilizers to not only the environment, but to you and your loved ones. If not, take the time to visit our "Organic Living" and "Organic Gardening" sections in our green living guide. While it can be tempting to buy the quick fix gardening supplies out there promising to ease your workload, it just simply is not worth it over the long run folks. Besides, there is something very rewarding about working a little extra harder in the garden, knowing that you are making a conscious choice to help save the earth and yourself. Honestly, you could get by growing a healthy and fruitful organic garden without ever purchasing any gardening supplies whatsoever. But we all know that every little bit helps. In other words, there is a middle ground into how much time and work you can put into the care of your lawn and garden. Depending on how healthy your soil is to begin with (organic gardening is all about healthy, nourished soil), you might need to jumpstart it with some prepared organic soil conditioner, chockfull of organic minerals like nitrogen, phosphorus, potassium, iron, copper and others. If you have never shopped around for organic gardening supplies before, you might be surprised just how big of a selection there is of organic fertilizers, not to mention herbicides and insecticides. These days, knowing all too well that more and more people are becoming aware of the necessity to go organic, you won't be hard pressed to find dedicated organic gardening supply stores. These stores carry organic products made up from the most diverse range of ingredients you can imagine, including corn gluten meal, garlic and even sea kelp! Organic gardening supplies are made up of everything that naturally occurs right here in Nature - serving as a testament that Mother Earth truly provides us with everything we need. Here you will find the most earth-conscious companies specializing in top quality, affordable organic gardening supplies - Certified Organic that is! Congratulations on making the choice to keep your lawn and garden free from dangerous pesticides, weed killers and other environmental health toxins. While it's always best to go organic, we also encourage gardeners to use all-natural gardening supplies knowing that certain organic gardening supplies are not always available. Visit our organic gardening tips and organic gardening guide for more information.